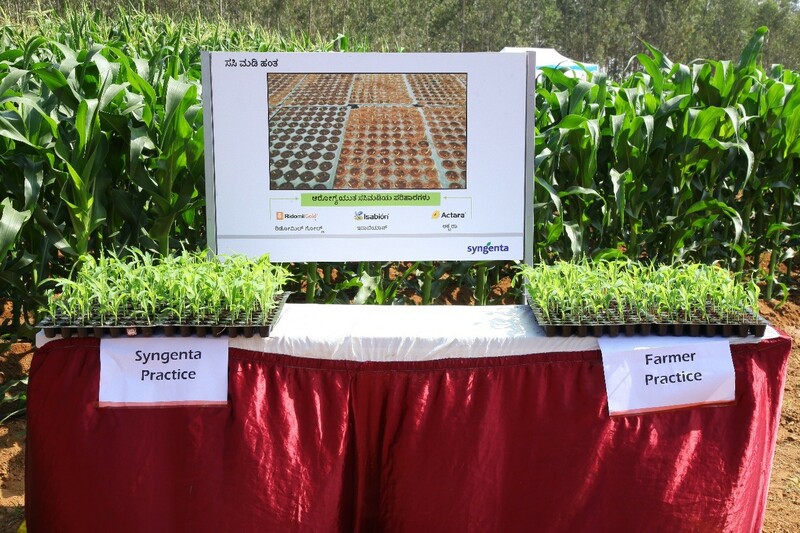 Syngenta Learning Centres are unique knowledge centers where we train Lead Farmers and influential growers on how best to grow crops and increase productivity. Our technical support team design SLCs to highlight the benefits of using the right product at the right time using the right application. 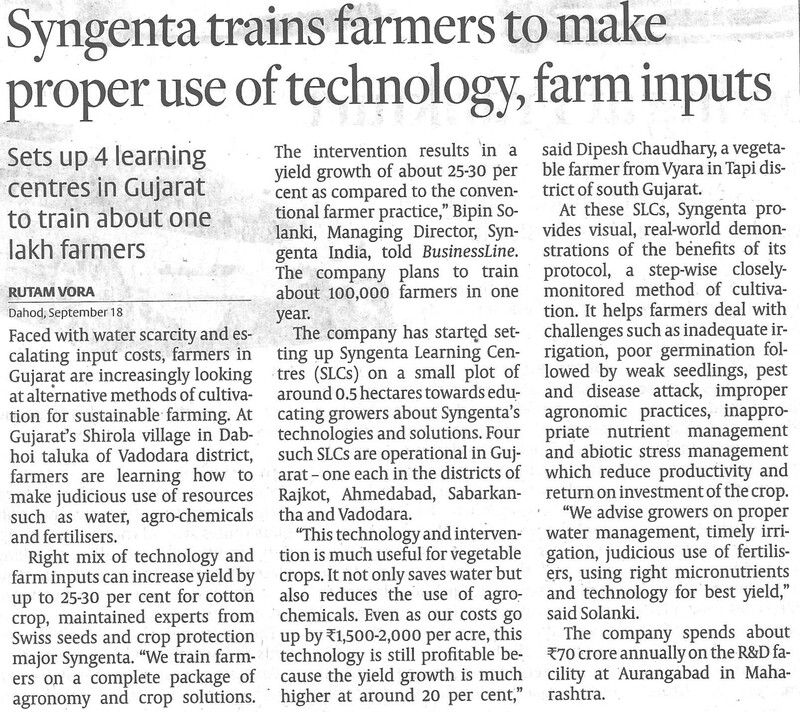 We have started the practice of setting-up Syngenta Learning Centres towards educating growers about Syngenta's technologies and solutions. Through SLCs, we provide visual, real world demonstrations of the benefits of technology and integrated solutions along with the best agronomic practices and compare them with traditional grower practices. Each SLC demonstrates existing and future integrated offers for one or more crops. SLCs also help to build confidence for growers in adopting new technology and investing to improve farm productivity. The SLCs are a reflection of Syngenta’s ongoing commitment to help growers raise productivity and improve the quality of their crops. SLCs are located within target growing communities and operate for around 1-2 years before moving to a new location. Lead farmers, retailers, progressive growers and other stakeholders are invited to the SLCs to see how integrated solutions can improve productivity and quality. Farmer data is captured at these events to enable Syngenta to build a network of growers in the community. Lead Farmers learn about the best practices for each crop growth stage and become Syngenta ambassadors to promote them to their own network of growers. The combination of SLCs and Lead Farmers allows Syngenta to develop strong and meaningful relationships with growers that in turn drives our business. Till date, we have conducted more than 25 SLCs which have touched more than 0.26 million farmers. 15 SLCs will be showcased in the coming year for key crops like corn, paddy, vegetables and cotton and high potential crops like soyabean, groundnut and green gram. These SLCs will be spread across our markets in Rajasthan, Gujarat, Madhya Pradesh, Maharashtra, Karnataka and Tamil Nadu. We also involve the broader stakeholder universe of the government and the media in these programs.